Potassium (also referred to as potash) is largely produced in the Northern Hemisphere, where is abundant. In fact, the potash market is dominated by just a few producers, largely in Canada, Russia, and Belarus. As a result, potash (and fertilizers in general) can be accessed relatively affordably by farmers in northern regions, where it also happens to be a closer match for the soil nutrient needs of their farms and crops. But that's not necessarily the case for farmers elsewhere. 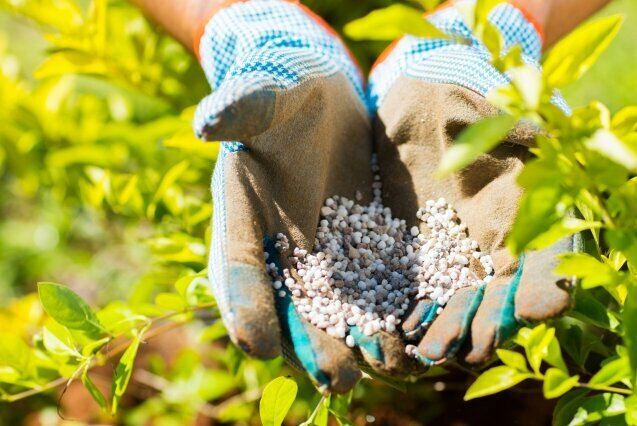 For tropical growing regions in Brazil and some countries in Africa, differing soil and rock compositions make for a poor match for the fertilizers that are currently on the market. When these fertilizers—which are resource intensive to produce—need to be shipped long distances to reach consumers in Southern Hemisphere countries, costs can skyrocket. When the fertilizer isn't the right match for the soil needs, farmers may need to add more in order to achieve as much gain as their counterparts in the north, if they are even able to afford more in the first place. So while these fertilizers promise higher yields, small- and medium-scale farmers still can end up with lower profits, higher soil salinity, a rapid reduction in overall soil fertility, and increased leaching into groundwater, rivers, and streams. This makes it challenging for these farmers to thrive, especially in Africa. Expensive or unsuitable fertilizer lowers food production capacity, affecting farmers' economic and nutritional self-sufficiency. Now, at a time when the United Nations projects that global population will rise by to 8.5 billion in 2030—an overall increase of over 1.2 billion people—the need for local, sustainable fertilizer solutions to increase yields is even more urgent. This mismatch—and the regional food security implications that it entails—was the inspiration for Antoine Allanore, associate professor of metallurgy in the Department of Materials Science and Engineering at MIT, to focus his efforts on finding alternative fertilizer materials. Over the last six years, he has built a research team, including Davide Ciceri, a research scientist in his lab through 2018. "Industry hasn't put as much thought as is needed into doing research on the raw materials [used in fertilizers]," says Ciceri. "Their product has worked so far, and no one has complained, so there is little space for innovation." Allanore thinks of it this way: "Unfortunately, farming is not a very profitable field. They make so little compared to those who work in trade or food processing and marketing, which, as a result, have received a lot of investment and attention. Because of this lack of research investment, we know very little about what happens to some of the elements that we're putting in the soil." This lack of investment is especially problematic for farmers in the Global South who are without affordable access to the fertilizers that are currently available on the market. Motivated by their desire to find local, sustainable fertilizer solutions for African farmers and fueled by J-WAFS seed funding, Allanore, Ciceri, and other members of their research team have created a road map that materials scientists and others can use to develop a new generation of potash-independent fertilizers suitable for African soils. Published last August in the journal Science of the Total Environment, the paper, "Local fertilizers to achieve food self-sufficiency in Africa," was one the first comprehensive studies of the use of fertilizer across Africa from a materials science perspective. It indicated urgently needed advancements in fertilizer research, technology, and policy, and recommended approaches that can help to achieve the yield gains necessary to meet current and future demand sustainably. "From the standpoint of materials processing, there's really so much to do on the mineral resources required for fertilizers," says Ciceri. "What we wanted to do was to promote a discussion in the community about this. Why is there no research on new fertilizer developments? What strategies are implementable? Is there enough field crop testing that can be done to support what chemists can do in the lab?" While their paper was geared toward materials scientists, Allanore recognizes that what is needed is an interdisciplinary approach. "We are about to know the full genome of humans, but we don't yet know how a crop uptakes nutrients," he says. Collaboration between agronomists, soil scientists, materials scientists, economists, and others can improve our understanding of all of the interactions, materials, and products that go into obtaining the optimal yield of agricultural crops with minimal negative impact on the surrounding ecosystem. He is quick to state, however, that the goal is not to replicate what has been done with modern agriculture, but go beyond it to find sustainable solutions so that the African continent can provide its own food, profitability, and a decent life for the people who are growing crops. Professor Allanore's lab has already discovered a potash alternative that is derived from potassium feldspar, a rock that is commonly found all over the world. To Ciceri, finding a solution in feldspar was startlingly obvious. "Looking back at years of research, I was surprised to find that no one had looked to K-feldspar as a source," he says. "It's so abundant. How could it be that in 2015 our research team was the first to get potassium out of it?" And yet, that's just what they've been able to do. With the support of a partnership with two Brazilian entities, Terrativa and EMBRAPA (the Brazilian Agricultural Research Corporation), the research team was able to develop a hydrothermal process to turn K-feldspar rocks into a new fertilizing material. But while this early collaboration helped the researchers develop an understanding of feldspar and how it could be used as a fertilizer for specific crops in Brazil, the team did not have direct control or access to the agronomic trials. "This was an extremely important step for our research," Allanore says. "The J-WAFS funding gave us the freedom to enter into this collaboration with the University of Massachusetts at Amherst. And, unlike what happens with corporate sponsorship research agreements, in this case we all had open access to the data." Allanore is particularly grateful to the contributions of Barker and his team, since the tests would not have been possible without their participation. The results of this work were published on Jan. 22, in the article "Fertilizing properties of potassium feldspar altered hydrothermally" in the journal Communications in Soil Science and Plant Analysis. Soil's history: A solution to soluble phosphorus?